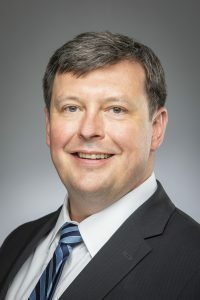 James G. Knipe III joined the firm in 2002 and devotes his practice to both criminal defense and personal injury cases. After obtaining a degree in History at Louisiana State University (LSU), Mr. Knipe went on to receive his Juris Doctorate from the Southern University Law Center. As an alumnus of Catholic High School of Baton Rouge and as a member of several local professional organizations, Mr. Knipe has established and maintains many ties to the Baton Rouge community. A family man, Mr. Knipe understands his clients’ priorities and protects those things that are most important. Mr. Knipe has represented countless individuals throughout a broad spectrum of cases from misdemeanors and driver’s license issues through homicide and large quantity narcotics. Among his most memorable cases include: State v. Thomas (granting of post-conviction relief for a man serving a life sentence) State v. Kent (conviction for negligent injuring reversed); and State v. Coupe (conditional release of insanity). In regards to DWI defense, Mr. Knipe is one of a very few lawyers in Louisiana who has attained membership in the National College for DUI Defense, a national organization made up of the top DWI/DUI defense attorneys who collectively share information and tactics to provide successful representation for those charged with operating a vehicle while intoxicated. Mr. Knipe has completed Standardized Field Sobriety courses identical to those given to police officers and regularly gives seminars on DWI defense, including a yearly seminar hosted by the Louisiana Public Defender Board. Mr. Knipe is a lifetime member of Louisiana Association of Criminal Defense Lawyers, a member of Baton Rouge Bar for Justice and a member of the Dean Henry McMahon Inn of Court. 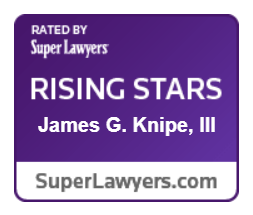 Recently, Mr. Knipe was named as a “Rising Star” in the practice area of Criminal Defense in a 2013 edition of Super Lawyers Magazine.